What was new to me – at least – was the entire text of “Noel”, which appeared on the Oxford Mail article online and disappeared very soon afterwards! In the quick glimpse I managed to catch, I was surprised with the explicit religious content of the poem – something Tolkien rarely does. 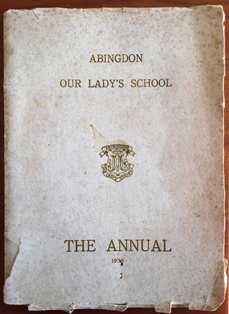 An interview with the Principal of the Our Lady’s School in Oxford, where this extremely rare copy of the School Annual was found, can be heard here.